That's right, ya'll. It's my closet. While I do share it with the hubs (my apologies, dear), he owns just a small piece of real estate [not pictured, those aren't his leopard print pants, I swear]. Lemme tell you what you are lookin' at here from left to right: on the left shelf: summer sweaters, shoes, bags and more sweaters; on the top row of hangers: tights on hangers (so I can easily find ones to match my ensemble), skirts; on the lower level: pants and blouses; middle: (more) sweaters, pants (what?! ), under-stuff (I don't have a dresser, so this is where I keep that kinda stuff); right: dresses. Lots of dresses. clear plastic tubs above: winter duds. "You should really just read the book." Okay, let's be honest. I look ridiculous. Like some sort of Rainbow-Brite/PeeWee Herman love child. And that might not be the look you are going for. Because how many times have you woken up and thought, "You know what? 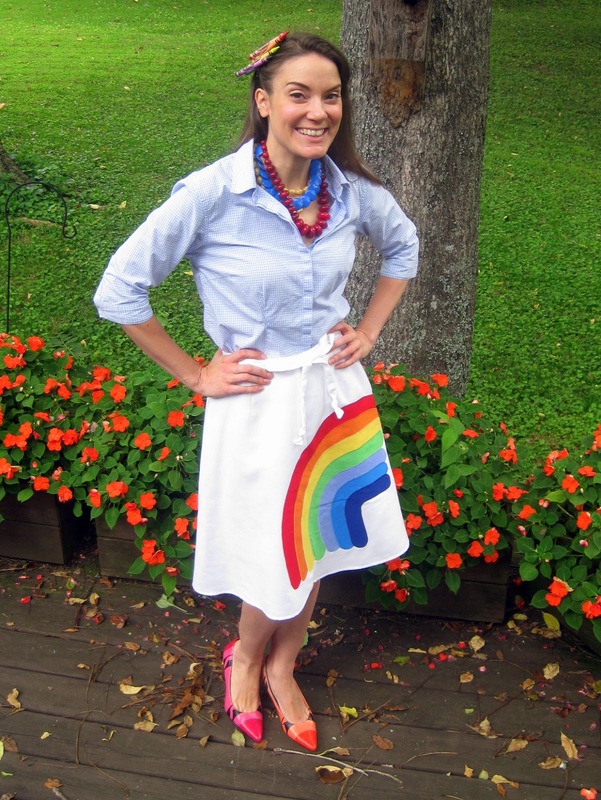 Today, I'm gonna dress like a rainbow shot out of a unicorn's a**." So, you should always, always do what feels right for you. 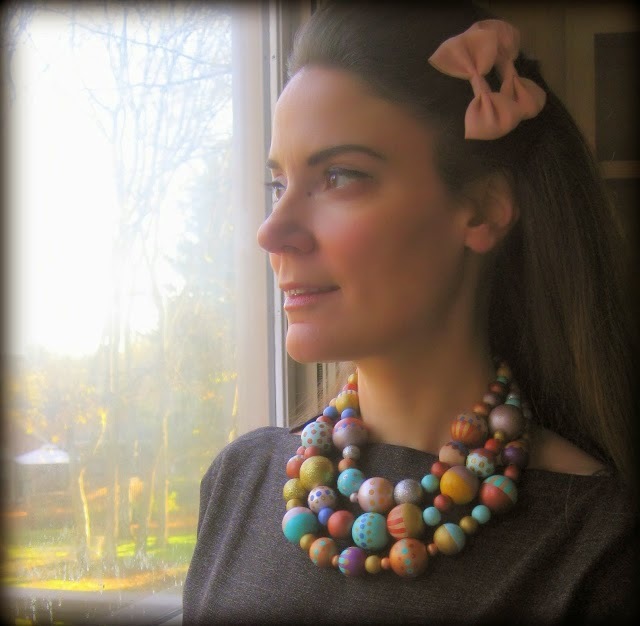 For me, in the beginning, tiptoeing into the pool of Crazy Art Teacher meant stepping up my accessorizin' game. 2. The Devil is in the Artsy Details. Have you ever noticed that little people notice the little things? Like the time you only put your eyeliner on one eye ("Mrs. Stephens, what's wrong with your eyes? One is fancy the other is sleepy!") or the day you opted out of wearing a Bumpit ("Where is the prettiful Mrs. Stephens? Your hair is so...sad.") Yeah, you pretty much have to sweat the small stuff with the smalls because...they notice everything. So, why not bank on that? 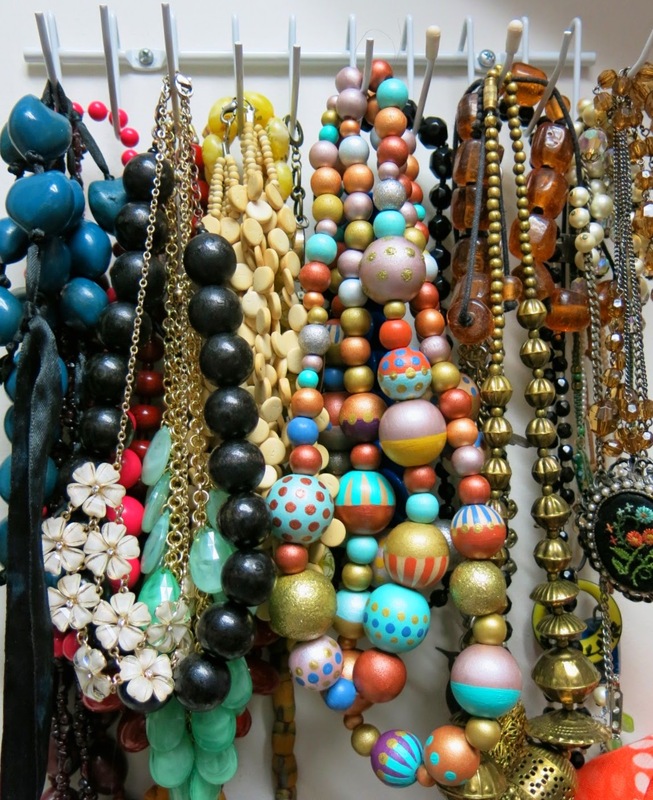 Most of my necklaces are either thrifted, sale-racked or handmade. Details on that embroidered pin here. Scarves were another one of the first accessories I wore in the art room on those days when the heat just decided to up and die. I remember once when I took a scarf off during a lesson when a student said, "Oh, please keep it on! It's super cute!" And, well, you know I'm all about the Super Cute. Because I'm 12. 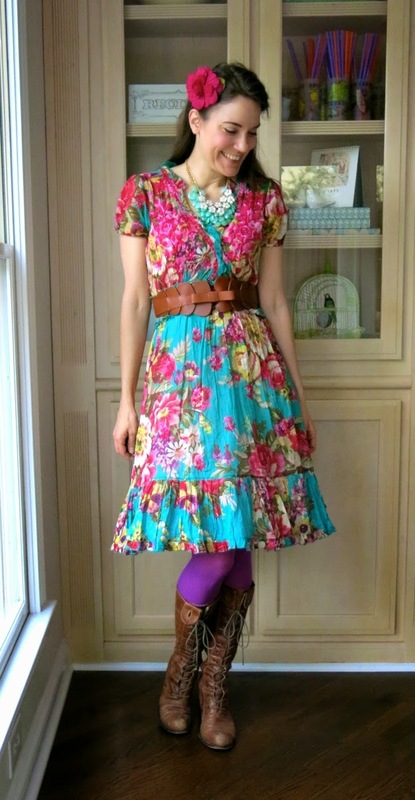 Why not put ever accessory together in one ensemble? Headband, check. Scarf, checkity-check. Tacky gold belt, done. Cup of tea, like a boss. Another fave accessory: Head Gear. Well, wait, not THAT type of head gear, I already did years of that in my adolescence. Head decor, I mean. Anything to jazz up the 'do is a do in my book. Details on the sushi headband here. Pencil clip DIY here. 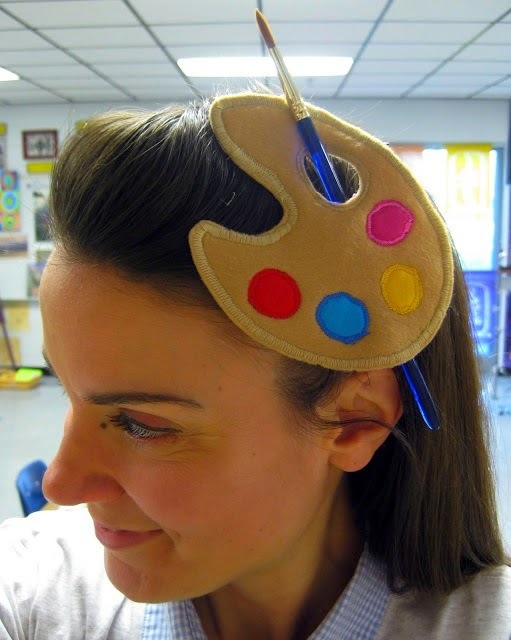 Because nothing says "Crazy Art Teacher" like this kinda Head Decor. 3. Make a Leggy Statement (Added Bonus: Never Shave Your Legs Again!). These days, you can find tights in just about every color of the rainbow (thank you, Target) and for cheap. I'm in the habit of only buying things that are on sale for a coupla reasons: 1. They's cheap like me. 2. You'll notice that only the "weird" (read artsy) stuff makes it to the sale rack. That's because the rest of the world, which is inhabited by Non-Crazily Dressed Art Teachers, steers clear of 'em. Perfect for the likes of us. Amazon actually carries a huge selection of artsy tights. Don't believe me? 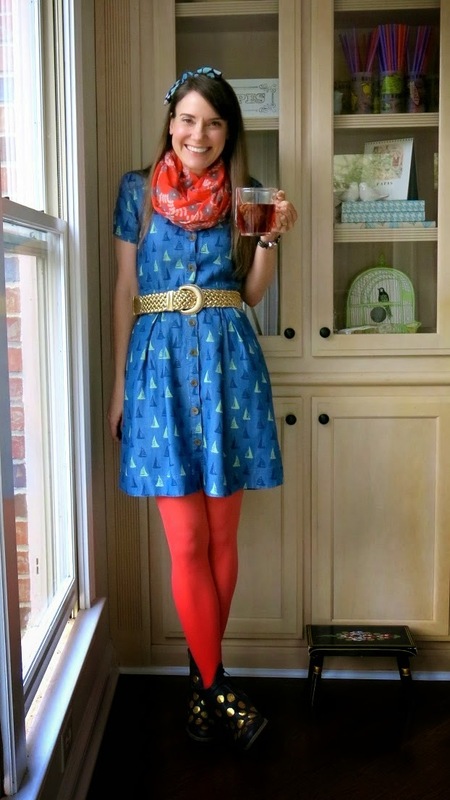 Search "Starry Night Tights" and tell me I'm fibbin'. Sweater DIY, here. While you're thinking of legs, don't forget your feets. I'm kinda prone to heels although I do keep a pair of ballet flats in my art room when the dogs grow tired. The majority of my shoes are thrifted (that might gross you out but my tolerance of disgusting is off-the-charts) and then DIY'ed. The crayon shoes, leopard print, glittery and blue splatter paint shoes are all of my footsy-masterpieces. Follow this linky-loo for all the gory foot-feitishy deets, yo. 4. 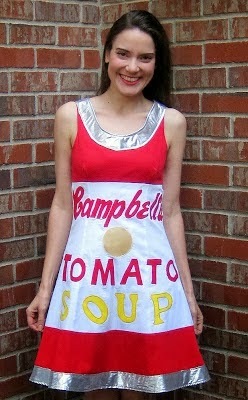 Put an Apron on It. Seriously. Aprons are cute and fun to make. Like that dorky one above. Do yourself a favor, put an apron on it. 5. 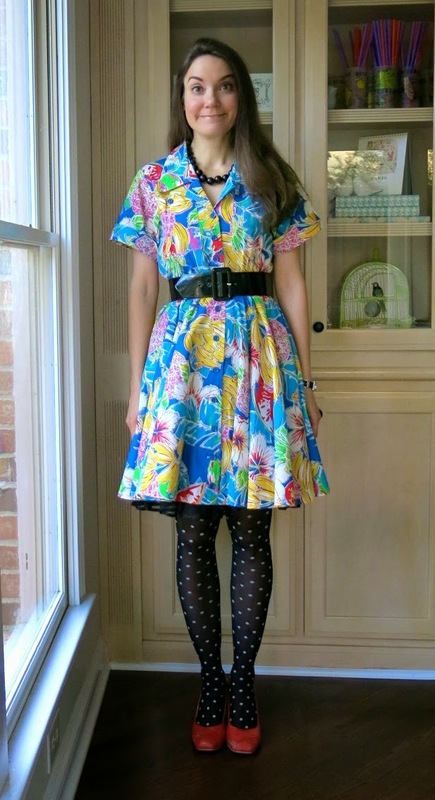 Shop that Thrift Store like an Art Teacher/Hoardin' Boss. 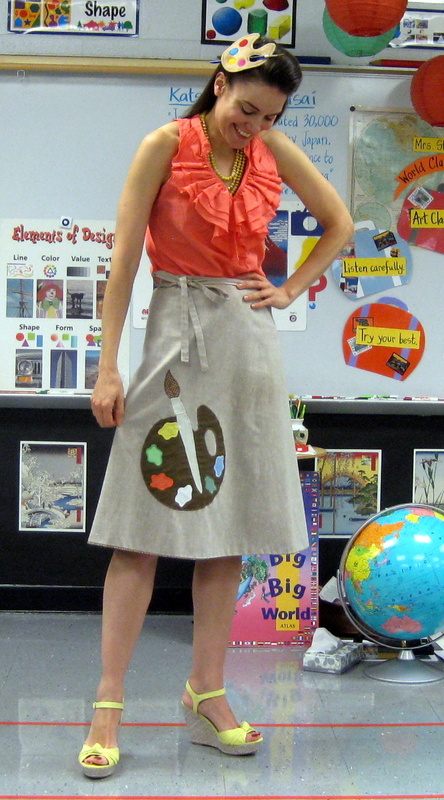 If you aren't thrifting your art teacher duds, you are seriously missing out. My fave thing to do is to go with a group of art teacher buddies. They'll talk you into buying the most craziest of things. I'd say that about 70% of my closet is thrifted and I'm cool with that. What do I look for at the thrift store? 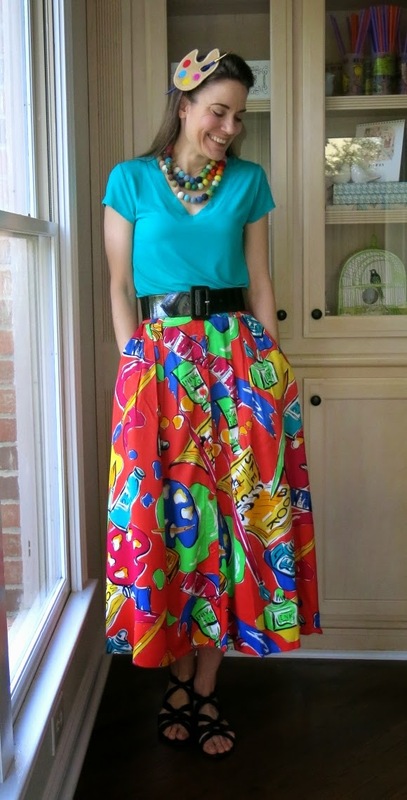 Anything odd, unique, colorful and pattern-tastic. I usually steer clear of fad fashions as I've found that I usually end up giving those right back to thrift store months later. 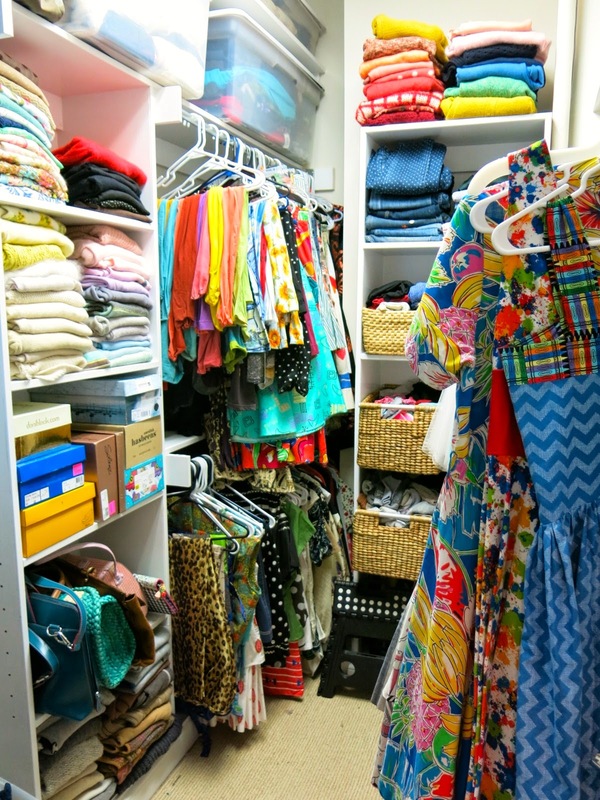 A peak at the pattern-y duds in my closet. 6. Create Your Own Clothing. 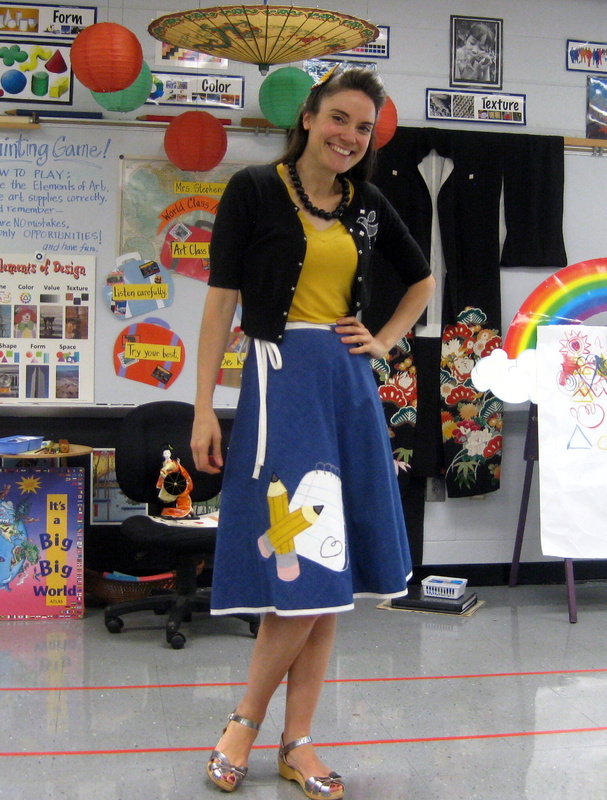 Until next time, let your Crazily Dressed Art Teacher Freak Flag Fly! * Disclaimer: This here blog post is for the Art Teacher Ladies out there. If there are any art teacherin' dudes that would like to share their Crazily Dressin' Tips, shoot me an email at cassieart75@gmail.com! 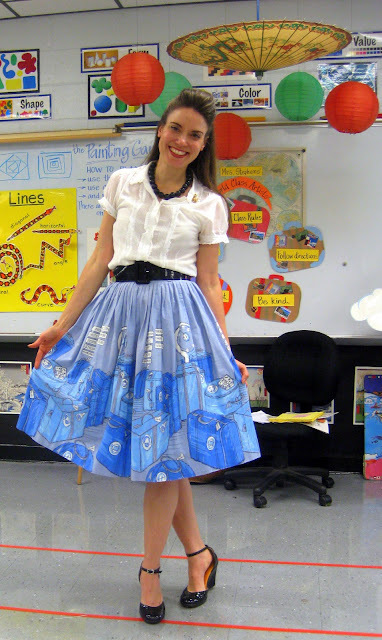 What the Art Teacher Wore #97 and Last Call for the Best Dressed Contest! I don't know what life is like on your end of the world but I'm sure it's crazy-busy. Especially if you are a teacher. End-of-the-school-year projects to wrap up, mountains of artwork to sort for our school-wide art show, let's-get-rid-of-this-stuff spring cleaning, the list grows by the day. So this week, I thought I'd share with you just some of the things we've been working on in the art room. Complete lessons on this here blog to come, but for now, you'll have to savor these sneak-peaks. 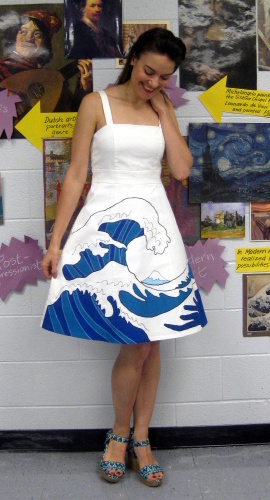 AND, just so's ya know, Wednesday, April 30th is the LAST CALL FOR THE BEST DRESSED ART TEACHER CONTEST! Yes, I'm shouting at you, that's how excited I am! So many of you awesome art teachers have sent me snaps that left me rolling in laughter (which is a good thing, I swear! Ya'll are the best!). 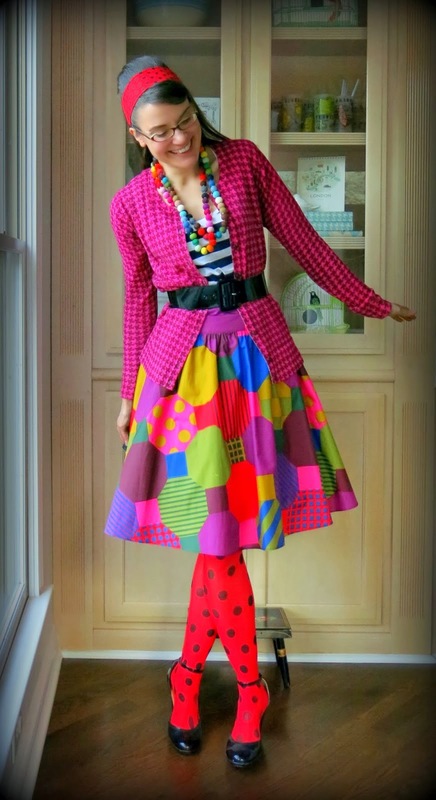 What's the Best Dressed Art Teacher Contest, you ask? 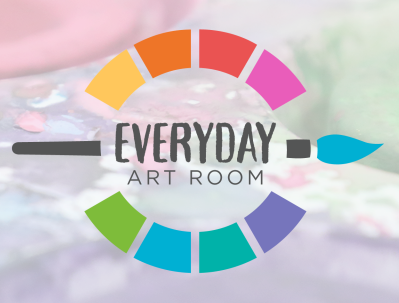 Nominate yourself or an art teacher buddy! 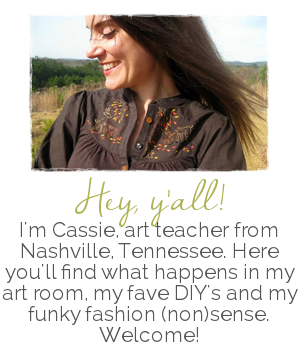 Simply send an email to me at cassieart75@gmail.com with a photo of your best artsy look. High resolution photos preferred, please. 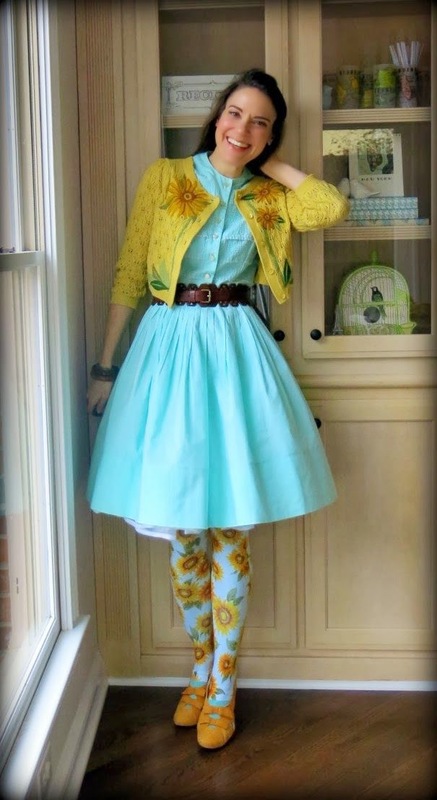 Please include a short bio about the art teacher and what inspired the look. Photos and bio will be shared on this blog on April 30th. Open voting on this blog will end on May 5th and the winner will be announced May 7th! The winner will receive a magical prize along with an interview on this blog. So! what are you waiting for? Shoot me an email, you crazy art teacher, you! We painted over them with watercolor paint (I asked that the kids pick just one color, por favor) and viola! Colorful and completed in a snap! 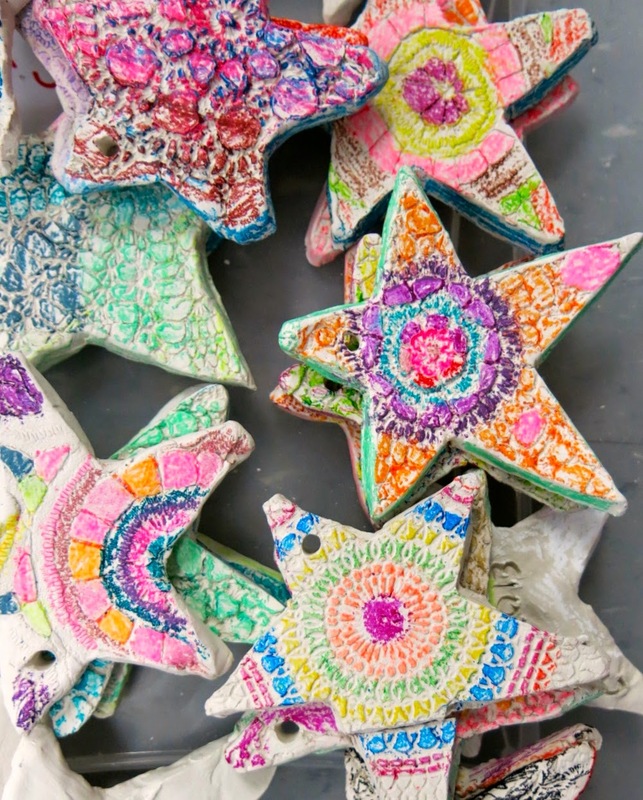 More details about these stars and how they were created in an upcoming post. Speaking of clay projects...my 3rd graders created these Chinese-inspired clay dragons. 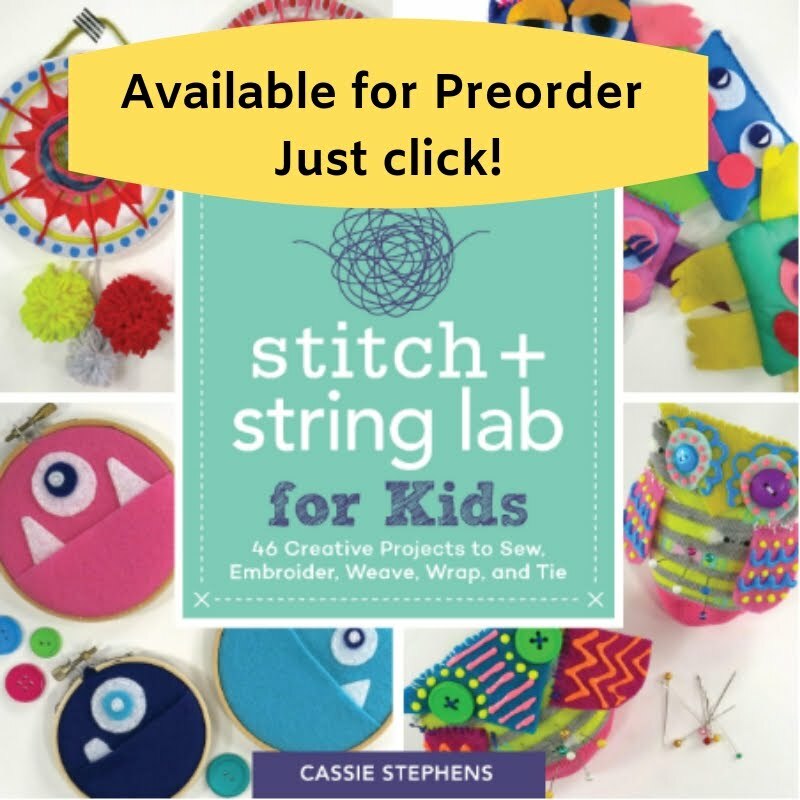 Ya'll, this project was such a hit! I would easily do this again with all grade levels. The creativity was off the chain crazy! I can't wait for them to glaze them so I can share the easy-peasy lesson with you. Some of my 4th grade students created Panda's with Personality (oh boy, ya'll. Do they ever have personality!) while another group created Asian elephants inspired by the painted elephants in India. Many added jewelry, fabric and flowers to their elephants. I have a feeling these are going to be the most colorful elephants ever. 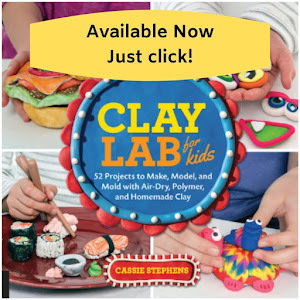 After finishing off our clay projects, We Returned to Our Normally Scheduled Program, Already in Progress (said in that officially dorky voice). Which means my 4th graders added either bamboo, cherry blossom trees or pine trees to their large (12" X 18") watercolor painted backgrounds. Lesson to come, promise! Meanwhile, in 3rd grade, we excitedly finished these Ming vase inspired still lives. We spent a long time on this project but learned so much...I'll be sharing this lesson later this week. Stay tuned, ya'll! 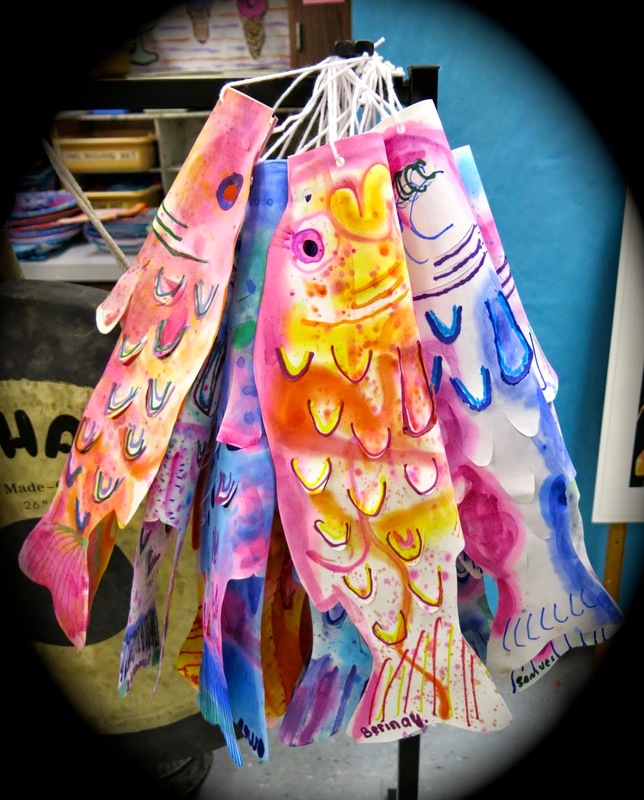 My 1st grade friends made clay koi fish...and while those dry, they are creating these koinobori (Japanese for Carp Kite) for May 5th which is Children's Day in Japan. I actually picked up these die-cut paper fish years ago through Roylco and never got around to having the kids create them. This time it worked to be the perfect tie-in, as well as a super short project while our clay drys out. I'll share with you more about this project soon. Ah! So much to share with ya's! What's up in your world, ya'll? Dudes, I've got my feets up and an ice cold...water (sadly) so life here is practically perfect. Today marked the first day for my super student teacher to enter the wild world of art teaching and I couldn't be more excited. Stay tuned for next week's outfit posts that will also feature her groovy looks...just don't tell her about it. She doesn't have a clue that I've been snapping her picture whilst pretending to hold the camera in her direction and mutter, "I wonder what this button does." Silly student teacher. And speaking of teaching, since seeing me in this get-up, my students have now been learning all about the history behind the kimono. It's quite fascinating so I thought I'd share it with ya'll this week. Until next time, have a fantastic-ish week and I'll talk to you sooner than you'd probably like. 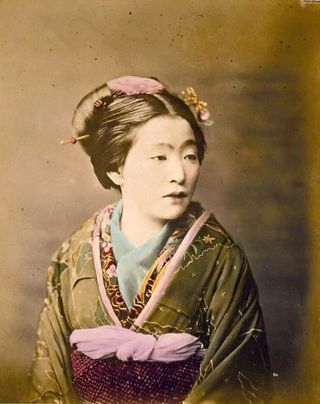 So originally "kimono" was the Japanese word for clothing. Of course now we know it to look a little something like this. This style of kimono came about more than a thousand years ago. Their popularity came into play partly because they are so stinkin easy to stitch up. Known as the straight-line-cut method, it involved simply cutting the fabric in straight lines and stitching them together. This method also meant that the kimono is one-size-fits-all and no tailoring is required. Sadly, it seems that kimono making is a dying art. 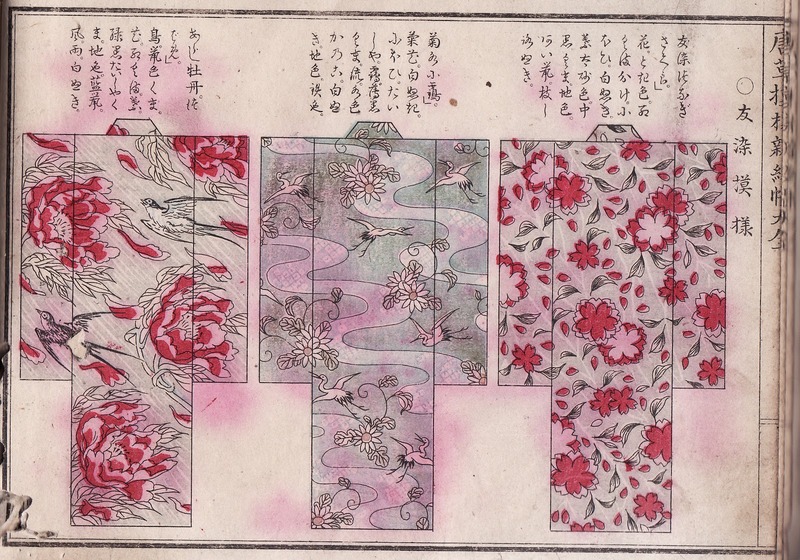 Hundreds of years ago, thousands of Japanese people were in the kimono making business as it was what was worn daily. 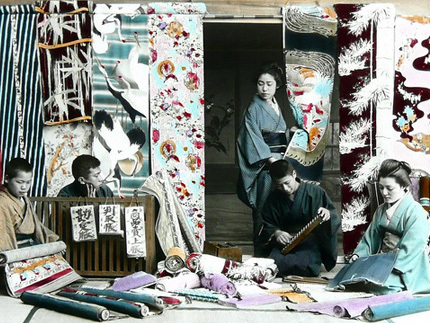 Currently only a handful of families craft kimonos with many of those craftsman being elderly. It's sad to think that the art of kimono making is literally a dying one. Traditionally crafted kimonos, from the silk cocoon to the final product involve more than 1000 processes carried out by different craftsmen. Each of these artists learned their crafts from the generations before them...which makes it so sad to think of this art as being lost. At one time, kimonos were worn by every class of people from samurai to aristocrats to the working class. When I was in Japan several years ago, it was rare to see anyone wearing a kimono and the thrift shops were filled with these beautiful robes. Pencil Me in Thursday: I know, dorkiness abounds. But are you really surprised? 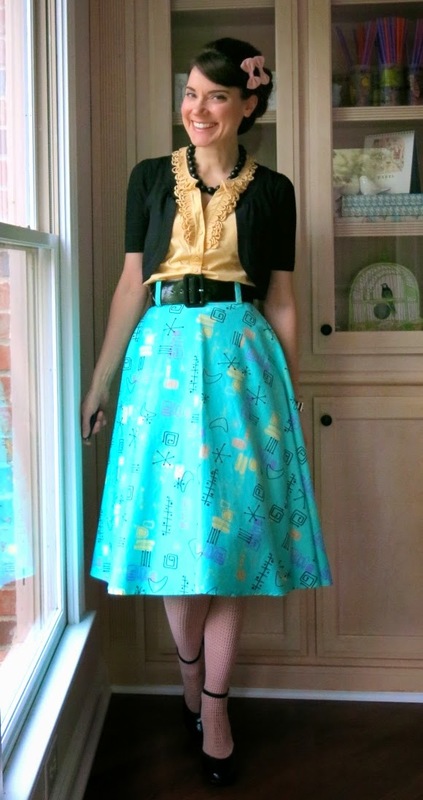 pencil skirt: DIY here; top and sweater: Target; shoes: Swedish Hasbeens, Anthropologie sale! Beautiful, right? Many Japanese are very aware of the change of seasons and love to celebrate it. 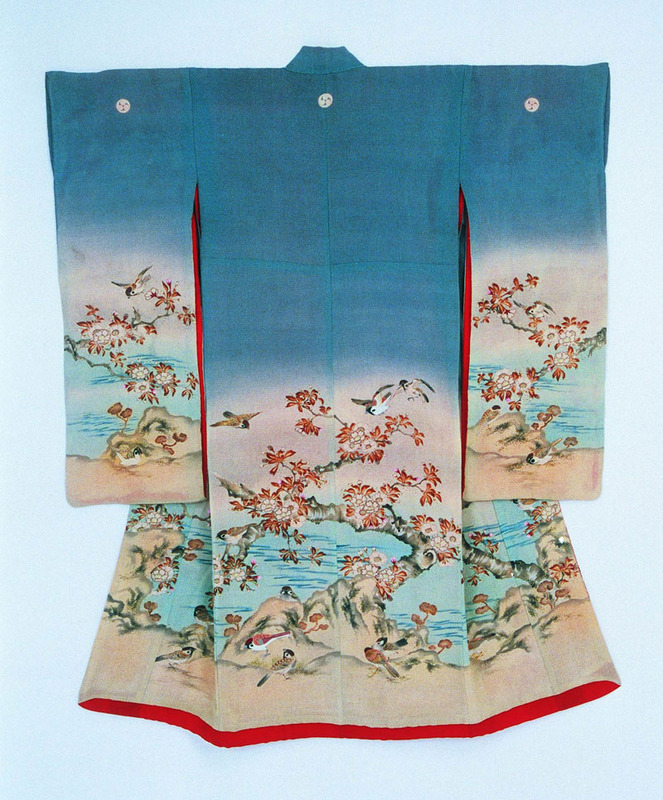 One way of doing so is to have a kimono that showcases each season. I love this idea and have decided to expand my kimono-wardrobe. Cuz that's just what my overcrowded closet needs. 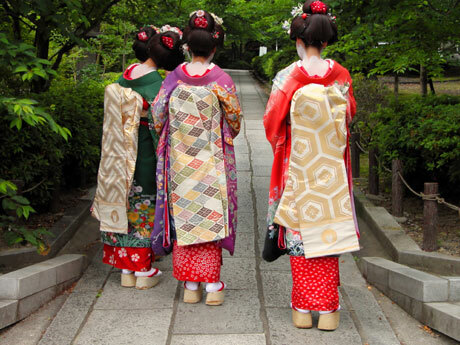 There are many parts to dressing in traditional Japanese attire beyond the kimono. That giant belt is called an obi which, from the front, you would see has a smaller cord belt wrapped around it called an obi-jime. Those wooden-heeled shoes are called geta and are worn with toe-socks called tabi. And if you look closely, you'll see what looks like another kimono under the ones worn by the ladies above. That's actually a collar called a han'eri. Of course the back of the kimonos is worn low across the neckline to showcase the beauty of the neck. 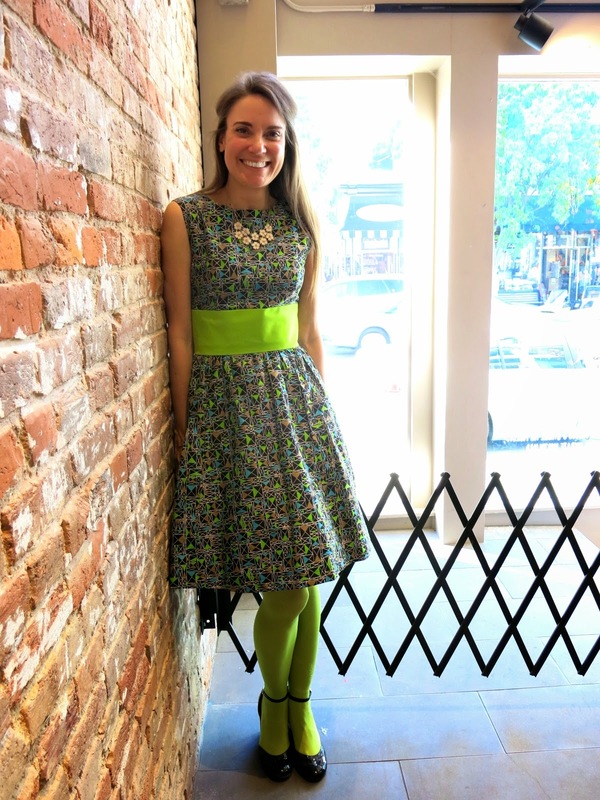 DIY: Felting a Dress is a Scream! So the other day, a maintenance dude was in my art room installing what appears to be The World's Largest Flat Screen T.V. (seriously, ya'll. What am I gonna do with this thing, shop on QVC whilst the kids are art-makin'? Hey...wait a minute...). Annnyway, we got to chatting and dude tells me a story about his high school art teacher that is so deliciously demented, I just have to share it with ya. Apparently, this art teacher salvaged her daughter's hair after a hair cut and, wait for it, knitted it into a sweater. But wait, there's more! Dude then proceeds to tell me that whenever you were working on your masterpiece, the art teacher, forever in her Hairy Hoodie, would lean over to offer advice and, when doing so, the hairs would tickle your face. "Because all art teachers are weird, you know," said that formerly tickled and tormented soul. "Even you!" Mind you, I just met this guy and he's already got me (accurately) pegged. Why tell you this story? Because I remembered it when I was felting hairs into this dress. 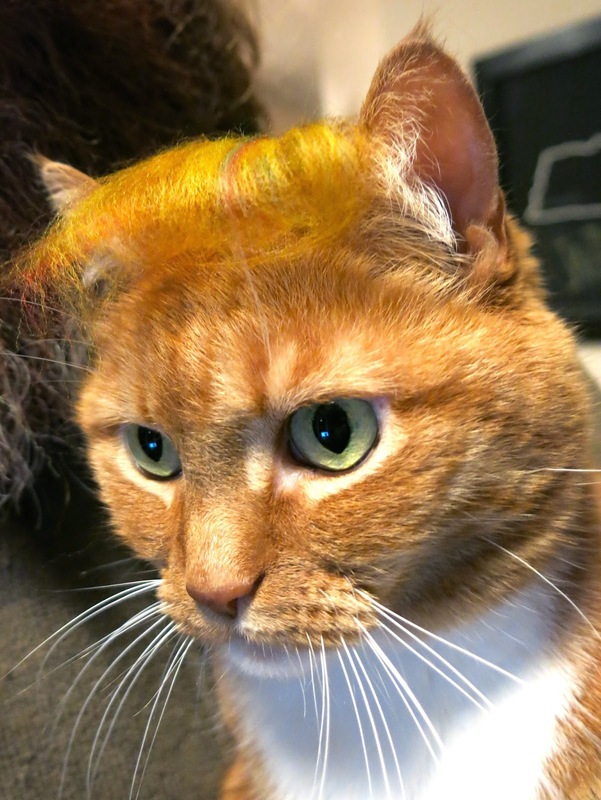 Not human hair, mind you, but that of some colorful sheeps and, well, maybe a rogue cat hair or twenty. 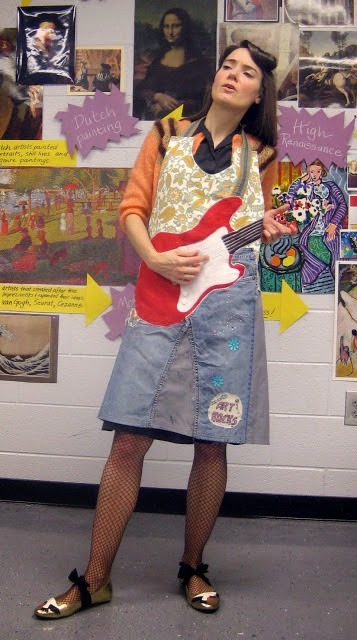 And I'm left with the thought: Will my sweet art-lovin' students tell stories of their Hairy-Dress art teacher?! I scream at the thought. According to my calculations, there here is my 12th Hairy, er, Needle Felted Creation. 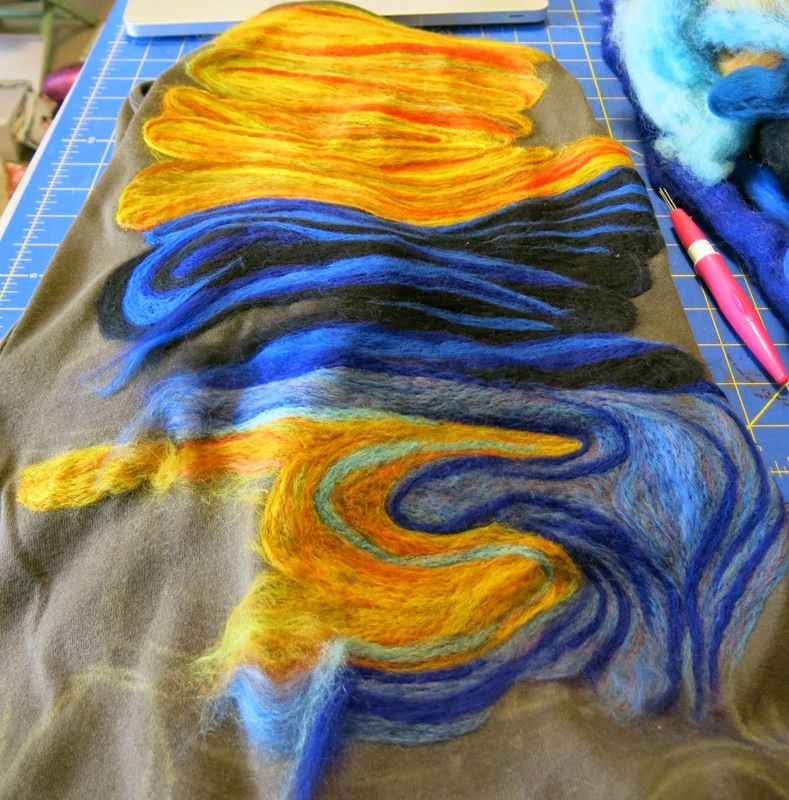 For my latest felted -n- foxy masterpiece, follow this linky-loo which will lead you down a rabbit hole of cheeseball needle-felting tutorials and a look-see of my Needle Felted Projects of the Past. 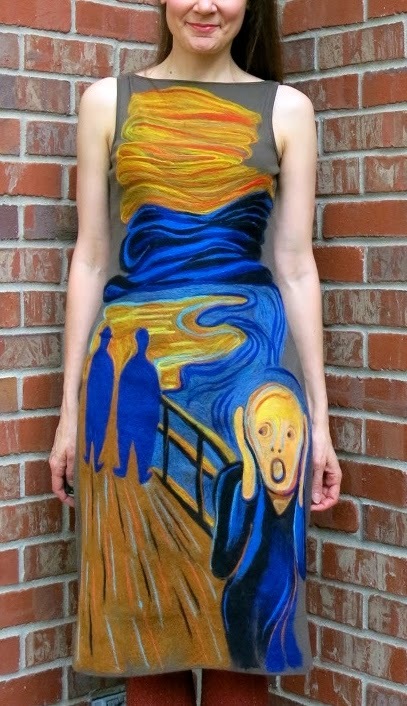 With that outta the way, let's chat about this here Munch-inspired Scream dress, ermkay? 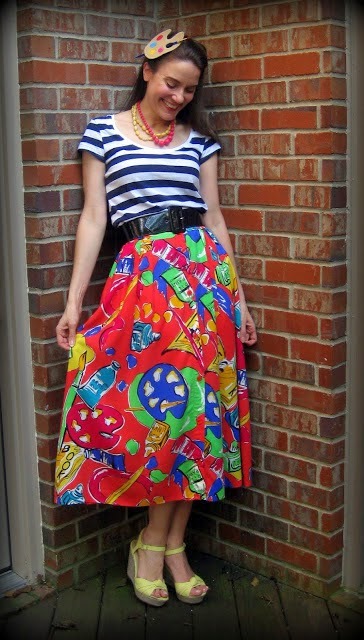 I gave ya'll a look-see (as well as a brief history of el Munch-o) in this What I Wore post. 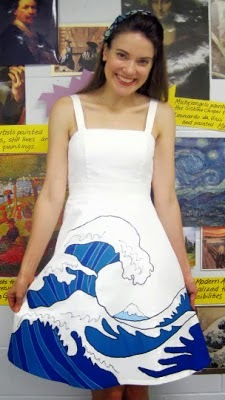 I've had my mind set on creating a Scream dress since my Adventures in Making an Artist-A-Month Dress began. And I've had my eye on this years-old (and slightly ruined from a formerly failed DIY) dress as the perfect canvas for this Scream-tastic adventure. 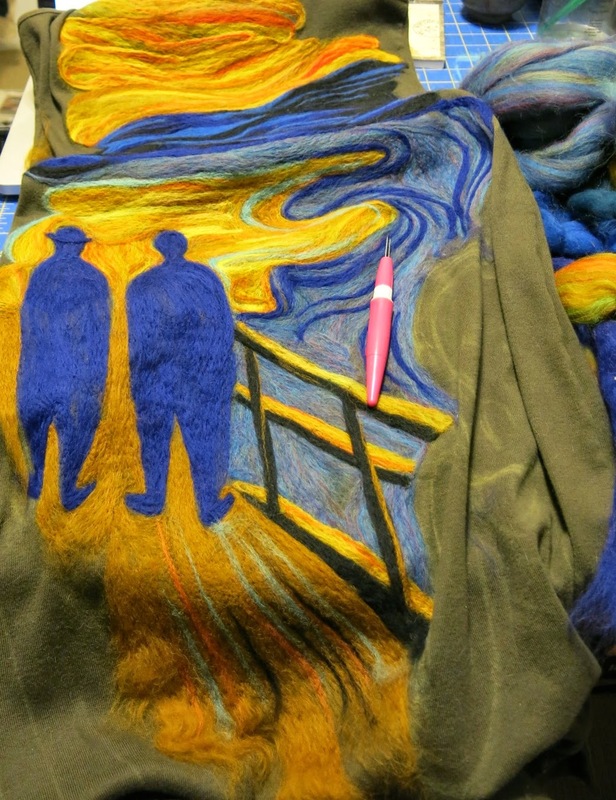 I began by drawing my design out in chalk as it's easy to erase with an elbow or completely rid of with a toss in the wash.
Way back in January, when hubs and I took to the Smoky Mountains for some adventuring, I stumbled upon a knitting/weaving/felting shop that had this amazing felt roving. When I saw it, I immediately knew it'd be perfect for The Scream and scooped it up for a mere $14, ya'll. I thought the mix of colors would save me a lotta labor layering colors...which I spent a lot of time doing in this piece. And in 30 minutes, I had a wee bit of sky in place. Many more than 30 minutes later, I had made some progress...however, it's become apparent to me that I need to size-up on my needle felting tool as that little bitty pencil-sized thing takes For.Eve.Rrrr. At which point hubs came in to check on me (I wasn't responding to his hollerin' due to said headphone/jam-out sessions). He brought Ashie with him who we promptly styled with a rogue piece of roving. 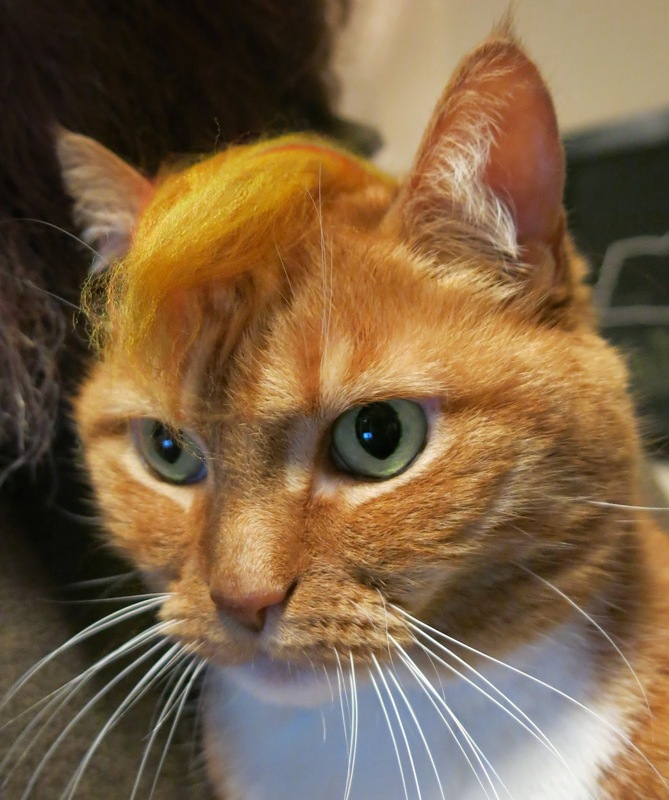 Question: Do you prefer the Conan O'Kitty on the left or the Cat-Faux-Hawk on the right? Let's be honest, this cat looks good in any random roving we put on her head. When the dress was finally complete, it seriously weighed a ton. I totes wasn't expecting it to be so hot and heavy, heehee. Ahem. To smash down the roving (and lock the fibers into place), I flipped the dress inside out, as seen, and ironed the crap outta it on the steamiest setting available. This helped flatten the otherwise lumpy and bumpy look to the dress. Which is never appealing. 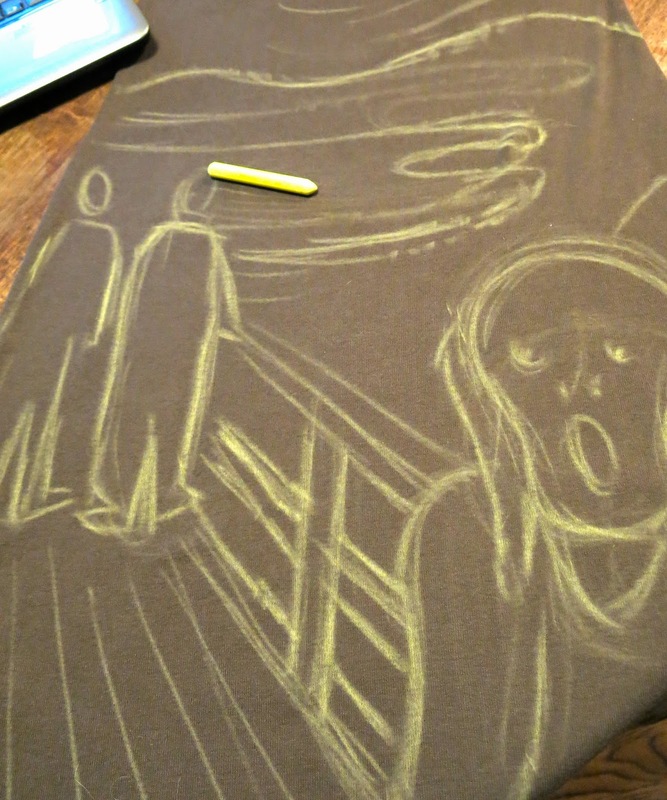 By the way, I saved the Scream-y face for last. I was certain I was going to mess it up. And that's like the most important part. Mess that up and you lose the image entirely. And I did struggle with it a bit. Originally, I created the hallows of the eyes in brown. However, that appeared much darker than is seen on the original. So I toned down the hallows with a very fine veil of peach roving. This worked to push the eye sockets back a pinch and made it so the pupils could come forward. 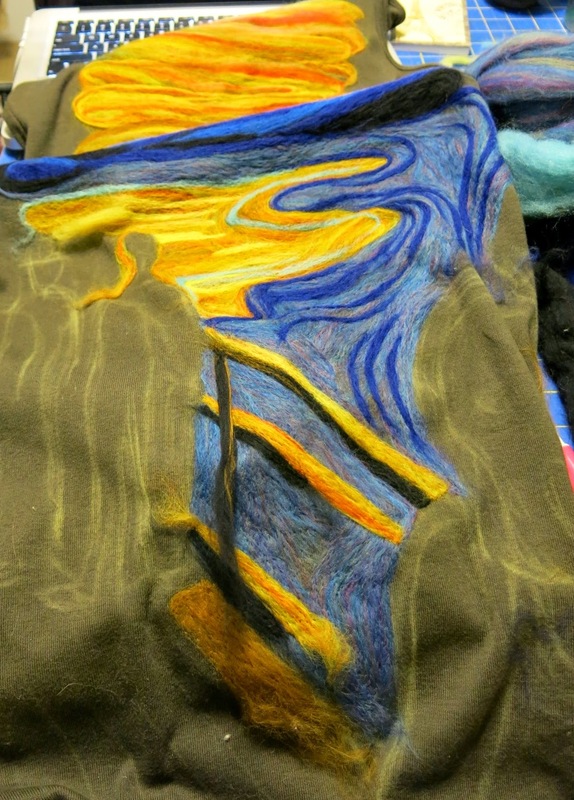 It was a happy accident and I'm excited that I discovered a fun way to play with value whilst felting. 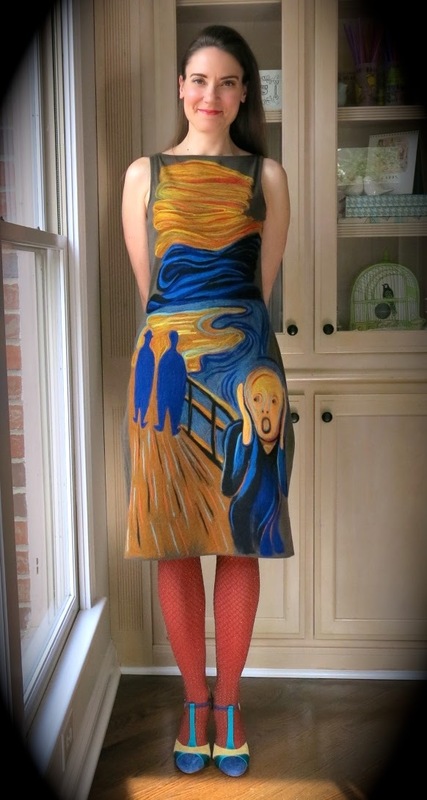 Of course, no post about The Scream would be complete without a dorky attempt at The Scream. I had to channel my inner Home Alone/Macaulay Culkin. My sincerest apologies. And there you have it! 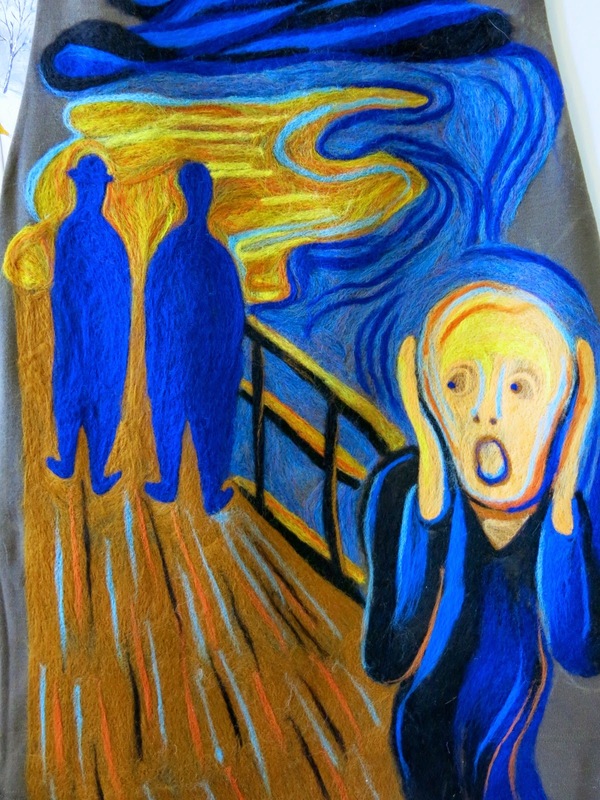 One felted The Scream dress that's hairy-feltedness is sure to tickle the face of some poor student who will live to tell about it to generations to come. And by "generations" I mean their many therapists. Until next time, I hope your week is a Scream, ya'll!